Bed And Breakfast322 sq. ft. The BnB La Gazzara is located within the splendid setting of the Sienese Chianti hills. The structure is a former convent converted into a Bed & Breakfast. The BnB La Gazzara offers large outdoor spaces available to guests and in particular a relaxation area with umbrellas and deck chairs, a swimming pool and solaruim. Camere Ciprina and Citrea are two elegant connecting rooms with private bathroom, in particular a bathroom with hydromassage and a bathroom with shower. The B & B La Gazzara offers a spa with Jacuzzi, swimming pool with hot water and sauna with a small daily extra. In the presence of large groups - or from 5 rooms upwards - the SPA is available free of charge to guests. 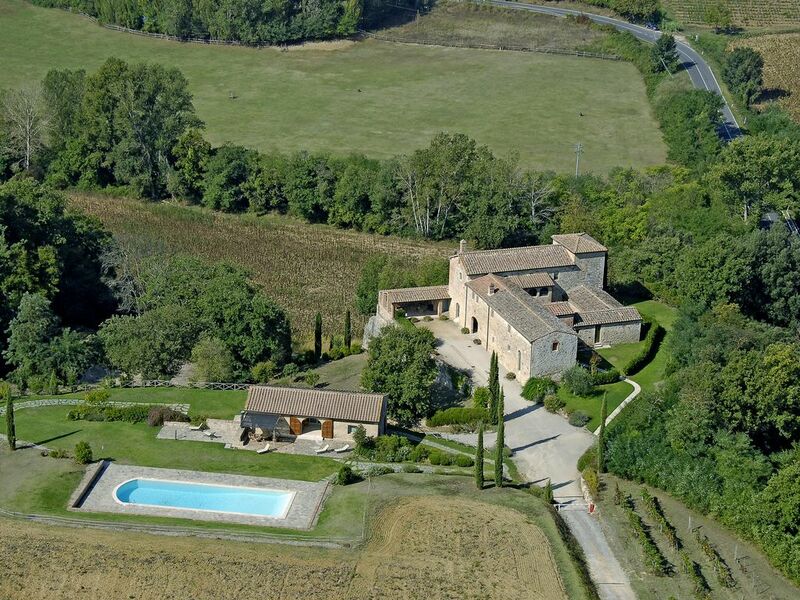 Near the BnB La Gazzara there is the family farm where excellent Chianti wine is produced. Inside the family farm there is a wine shop and a restaurant where guests will have the opportunity to enjoy typical Tuscan dishes at km 0. Upon request and with the permission of the owner, small pets are allowed.